My tame taste tester has been at it again. This time, I've had her trying pies of the gluten free variety for National Pie Week. Here's what she had to say for her little self. I pride myself on being a proper Northern bird, which, amongst other things, means I LOVE a pie; in fact I believe that most food can be improved by the addition of a pastry crust. 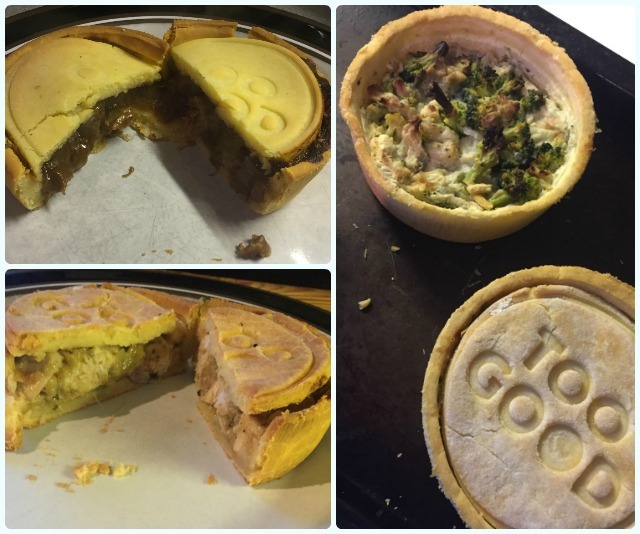 So when Rach asked if I would like to try some pies, I was keen to get involved. 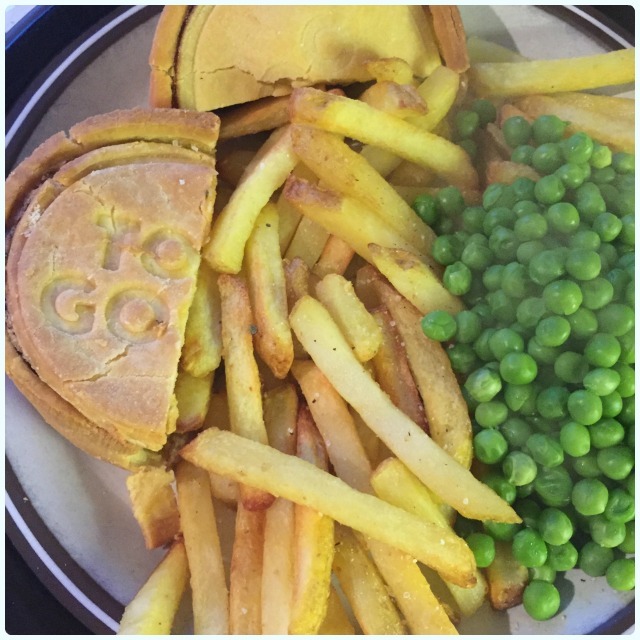 The steak and chicken pies were ear marked for a big Sunday feast, which I served with chips and peas. The steak was soft and tasty, perfect with a dollop of gravy and chunky chips. The Thai chicken pie was perfectly spicy, filled with tender chicken. The pastry was deliciously short and tasty, and I was very impressed. Needless to say they were demolished in record time! I cooked the cauliflower, kale and Stilton pie at the same time and took it to work the following day for lunch with a salad. This was my personal favourite, strong Stilton flavour and lovely veg, it was filling, and felt like a real treat. I really enjoyed these pies and would recommend them to anyone, they are a nice size so you don't need to feel bad about eating a whole one to yourself! We were very excited to see them in our local supermarket the other week, and I have now got my eye on the dark chocolate and salted caramel tart, droooool! Disclaimer: I was not paid for this post. 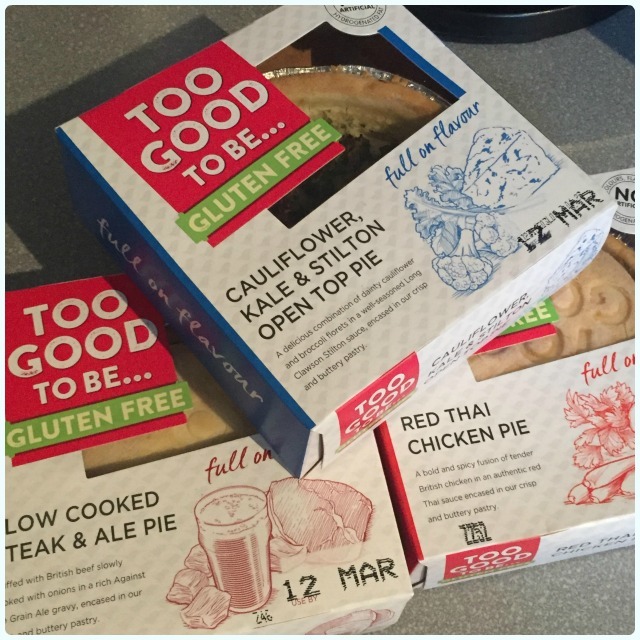 Too Good To Be Gluten Free sent Lee some pies to test free of charge. I can't make the same cake twice. It's boring. What's the point? I like my baking to be exciting, and a little bit terrifying. I almost like looking through the oven door and thinking 'have I pushed it too far this time?' It's never happened yet, but you never know. On Saturday we were going to our friends' for dinner, and it was declared that there would be a Mexican theme. 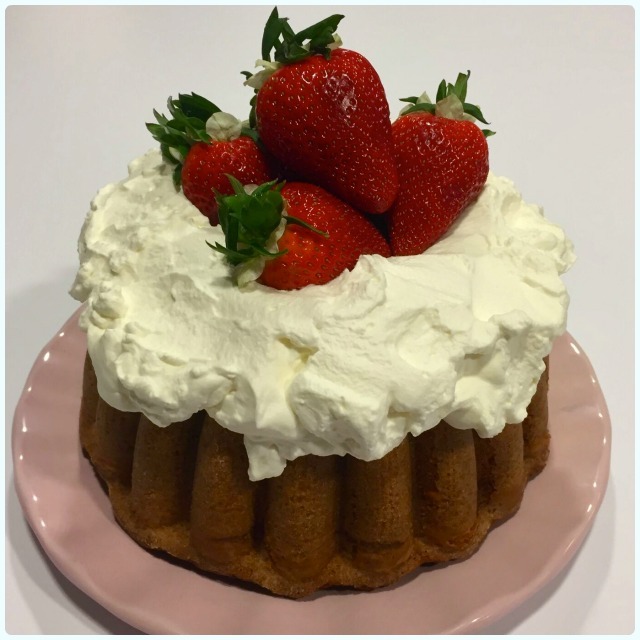 The obvious choice would be a Margarita bundt, however, it had been done already, and was therefore dead to me. A bit of research geekery later, and it turns out that the most popular cocktail in Mexico is a Paloma (meaning Dove, not the ginger singer). A Paloma is predominantly made form tequila, grapefruit juice, and lime, which are perfect for putting into a cake. I split them out to give the flavours some depth, which got a pretty good reaction from my fellow party-goers. 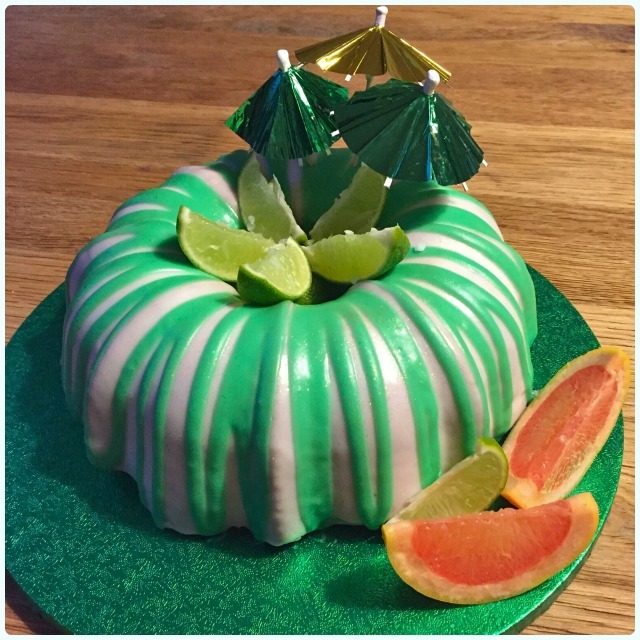 It works a bit like this; tequila and lime flavoured cake, the first layer of icing would be made from pink grapefruit juice with a shot of tequila, but the thicker green icing is made from neat lime juice. This means you get a taste sensation with every bite. Pour the yoghurt into a jug, and add the Tequila and the lemon zest and juice. Tip it all over the cake. Leave it for about 30 mins. Make the green icing by mixing the icing sugar enough lime juice to make a thick icing, still runny enough to fall off a spoon. Add a little green food dye. Spoon over in a zigzag manner, or pop it in a squeezy bottle for a bit more control. Decorate with citrus segments and whatever cocktail naffness you can get your mitts on. My friend was going through a bit of a rough time. Cake was required. 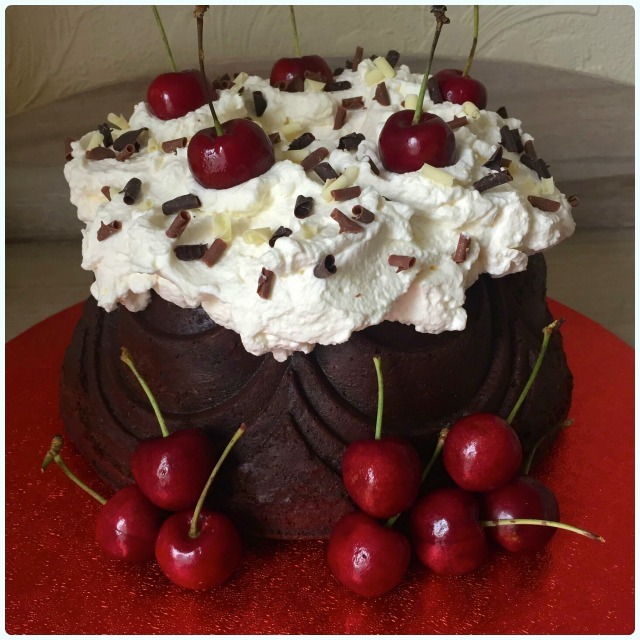 She had been winding me up about needing a Black Forest Bundt for a while - it was time. Sometimes, when life throws you lemons, you say 'do one lemons, you sharp sh*ts, I'm having boozy cherries instead'. And that's exactly what we did. I rocked up to her house with a box full of cake, topped with enough cream to make all the neighbouring cats' noses spring into action. It's not moist, it's virtually damp. 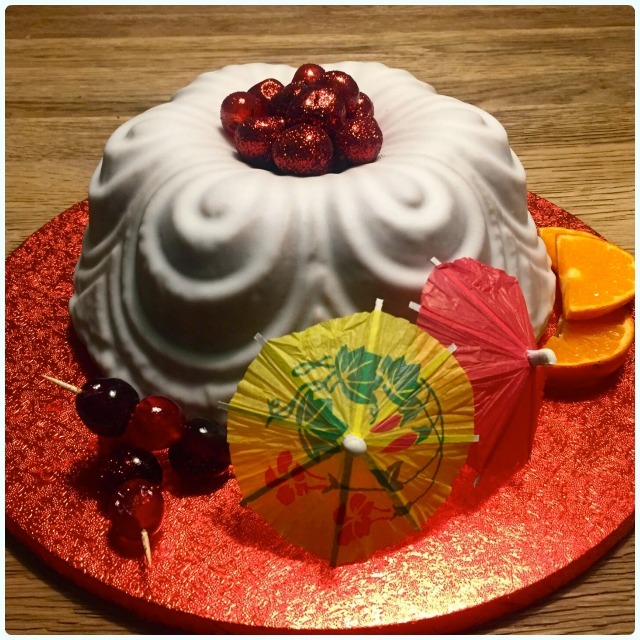 Think pudding. Just make sure it's properly cooked through, otherwise this cake can, and will break if not looked after properly. You're looking for clear shrinkage from the sides of the tin, and a skewer needs to be fully clean. However, don't worry if you do lose some crust, you're covering it in cream! Who doesn't love a gateaux themed cake hey? Pure indulgence. 50g good quality cocoa powder, I used Green and Black's. 100g jarred cherries in Kirsch (Opies do these) - drained and chopped up. 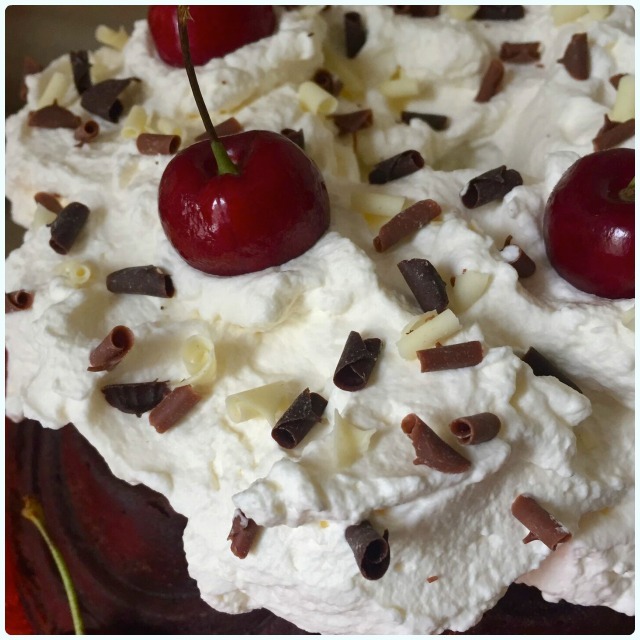 Cherries and chocolate flakes to decorate. Pour the yoghurt, vanilla extract, and kirsch into a jug. Stir in the cherries in kirsch. Pour the cake mix into your prepared tin. When the cake is fully cool, whip the cream until it sits in peaks, and dump it on top of the cake, like a big dairy hat. Decorate with chocolate sprinkles and cherries. So my mate's mum was turning seventy. She's a bit of a cracker, and loves a slice of cake. She's a brill baker, and on said party day, appeared with trays of cream scones, cheesecake, and a rum baba so strong, it should have come with a fire safety warning. One false move... Genuinely could not eat a slice then drive. No. I did a bit of scouting about with the family, in terms of what kind of cake she would love. 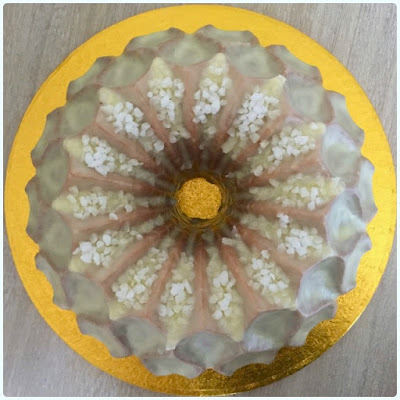 Turns out she adores a lemon cake, which is lovely, but in its natural state is also as dull as a Jane Austen book. This was going to be something a bit more lively. 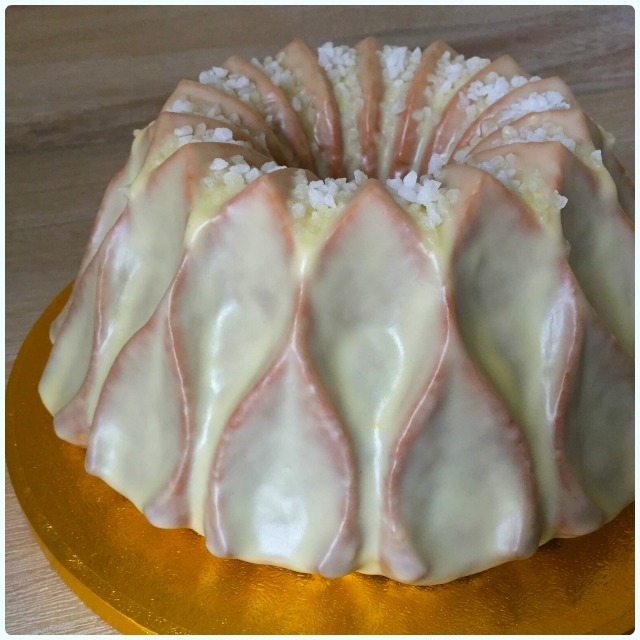 This would be a moist lemon cake, laced and glazed with Limoncello, with a lemon ribbon running through the middle. I forgot to take a picture of the ribbon, because I was such a party animal*. I made it in the stunning new Nordic Ware 70th Anniversary crown tin, which seemed to fit the occasion and recipient just beautifully. Pour the yoghurt into a jug, and add the Limoncello and the lemon zest and juice. Remove 5 heaped teaspoons of the mix, and dye it yellow. Pour half of the mix into your prepared tin. Spoon over the yellow batter. When completely cool, mix the icing sugar with enough Limoncello to make a runny icing. Add a little yellow food dye. Decorate with sugar crystals, and your work here is done. * Busy stuffing my face with other cake. The challenge was set... The recipient, my friend Tash; she of Italian heritage, cocktail drinking expertise, and cake eating prowess. I told her she could pick her desired flavour. 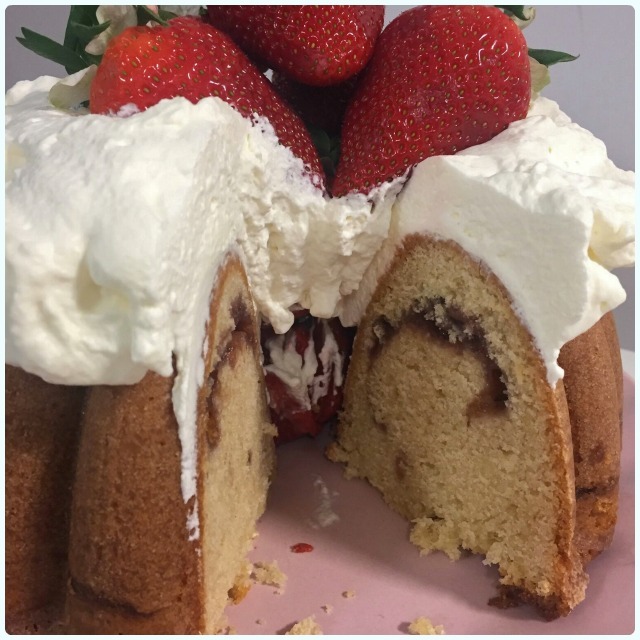 With barely a moment's hesitation, she declared it shall be a Ferrero Rocher bundt cake. I've been asked for this one before, but declared it a bit boring. I had to liven it up, and see that it was fit for my little party pal. It was going to be a moist chocolate cake, laced with hazelnuts, Nutella, and hidden Ferrero Rochers, which would be baked into the cake. No messing around with this one. Sadly, I had to break the news to my colleagues that this was going to sit on my desk all day, then be taken elsewhere at the end of the day. Did not go down well. Not at all. 40g good quality cocoa powder - I use Green and Blacks. In a separate bowl, measure out the flour, ground hazelnuts, cocoa, bicarbonate of soda and salt. Pour the yoghurt and chocolate milk into a jug and stir in the Nutella. Push the Ferrero Rocher halves vertically into the mix, as if you were marking out hours on a clock. Push them in until they are only just peeping out of the batter. It will swell over the top when baking. 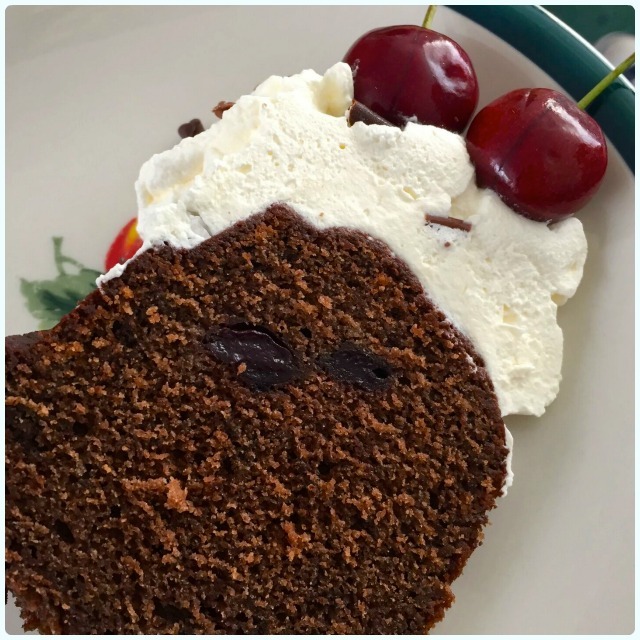 When the cake is fully cool, pop the chocolate spread into a jug and heat in the microwave for around 30 seconds to loosen it. 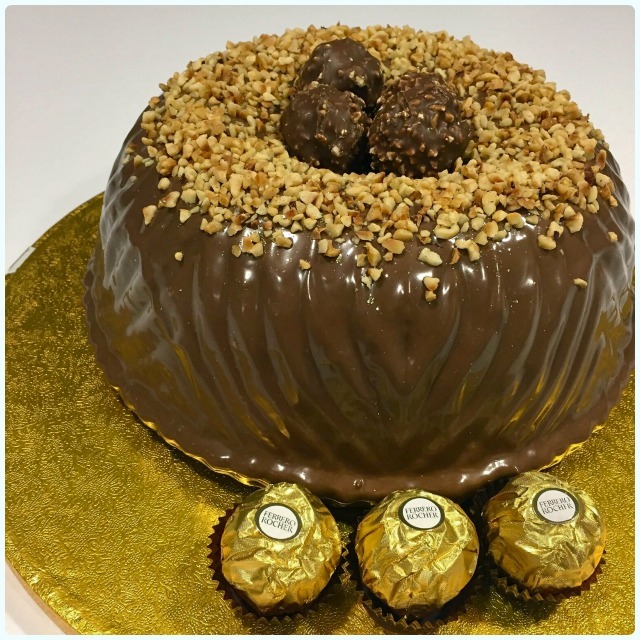 Tip over your cake and decorate with more Ferrero Rocher and chopped hazelnuts..
Can’t decide what to get Mum for Mother’s Day? What says ‘I created something excellent, well done me’, than offspring who bake you something magnificent? Not only does Mum get to stuff her face with some wonderful cake, but she can show off to her pals what talented spawn she really has. It’s a win win. When Homepride asked me to make something Mother’s Day related, it had to be a play on the traditional cream tea; a moist scone, split in two, with thick strawberry jam, and enough cream to ward off brittle bones until you’re 97. This isn’t essential, but I also added a glug of gin to mine, as a cheeky nod to Mother’s Ruin!